Terming the traffic congestion as a common problem in all big cities, Prime Minister Sheikh Hasina today said her government is making constant stride to resolve the problem. “All major cities across the world had the problem of traffic congestion and they could not come out of the problem overnight. Gradually they have resolved the problem,” she said. The commuting system in Dhaka would be improved to a large extent while metro train project would be implemented and the overall traffic management system would be improved step by step, she said, according to BSS report. 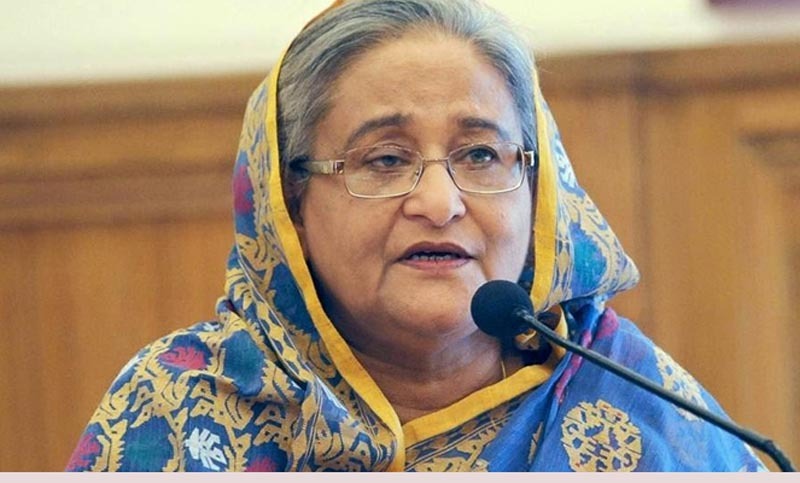 The prime minister said this in reply to a question from female member Begum Nur-e- Hasna Lily Chowdhury in the parliament during Prime Minister’s question answer session. The prime minister said the government has a plan to construct elevated expressway around Dhaka City and commuter services with the surrounding districts. About the steps taken by the government to reduce road accident, the prime minister said a four-year National Road Safety Action Plan 2017-2020 is being implemented under which professional drivers are being given short course training. Saying the many road accidents are caused from the negligence of the passerby the prime minister said special campaign programme was taken to make people aware. The drivers were asked not to drive transport more than five hours at a time. Exposing her solidarity to the movement of the students for the safe road the prime minister said Prime Minister Office (PMO) is monitoring the activities of all concerned ministries and divisions. Sheikh Hasina said a high powered team of PMO has already monitored the road traffic management from Abdullahpur to Hanif Flyover which has identified the priorities of the road safety. A monitoring cell has been formed to oversee the execution of the directive given in this regard, she said. Replying to a supplementary question from Jatiya Party member Sibly Sadik the prime minister said the government has a plan for the development of Saydpur Airport to make it useful for neighbouring counties as a regional airport.